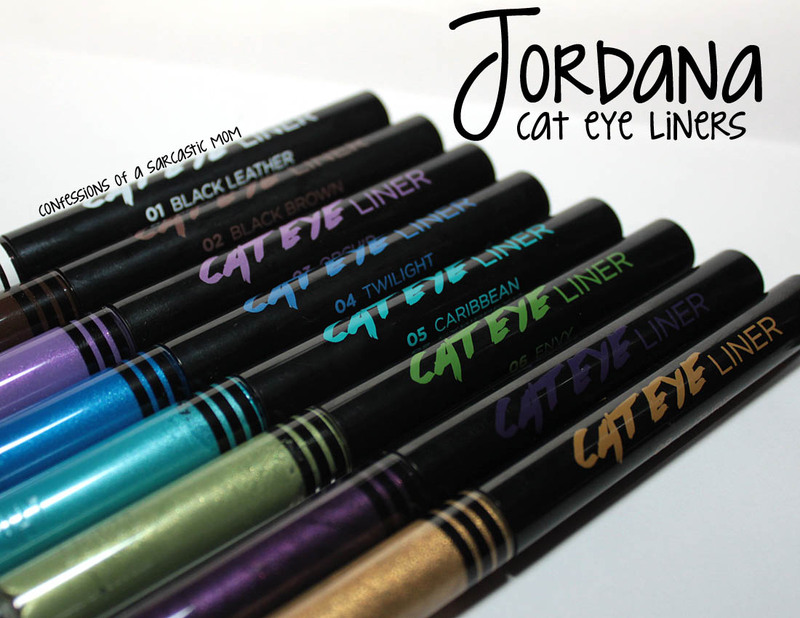 These new liners from Jordana come in all kinds of fun colors! 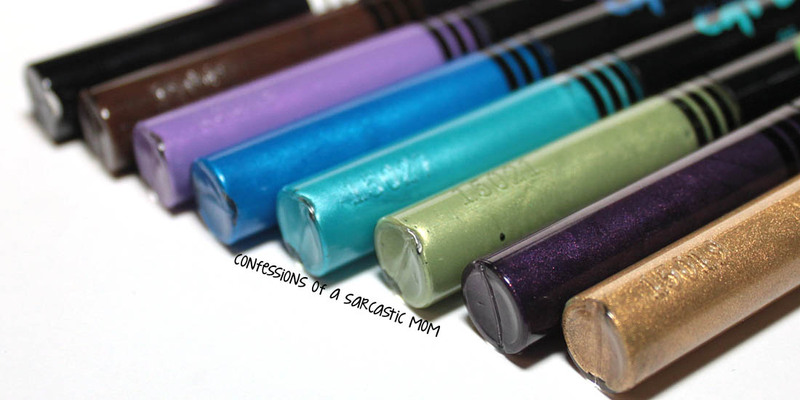 I love using colored pencil eye liners because they add an amazing pop of color - and these are no exception. The photo below shows the actual color. That is the "pot" so to speak... the "handle" is the black end with the writing (as shown in the top picture). The handle twists out to reveal an ultra fine brush. 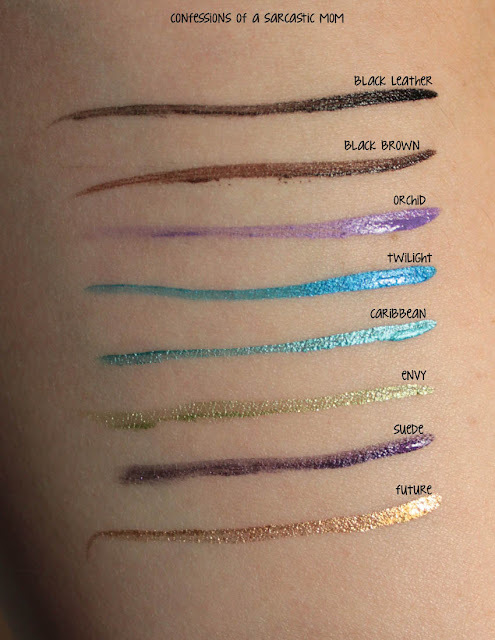 The liners are very pigmented! Pictured below is one swipe of the liner against my inner arm. I'm kind of partial to Suede at this point. ...but there is a drawback. Staining. Major staining. This photo was taken the morning after I swatched. I had originally thought about drawing hearts, but then backed out with the staining haha! 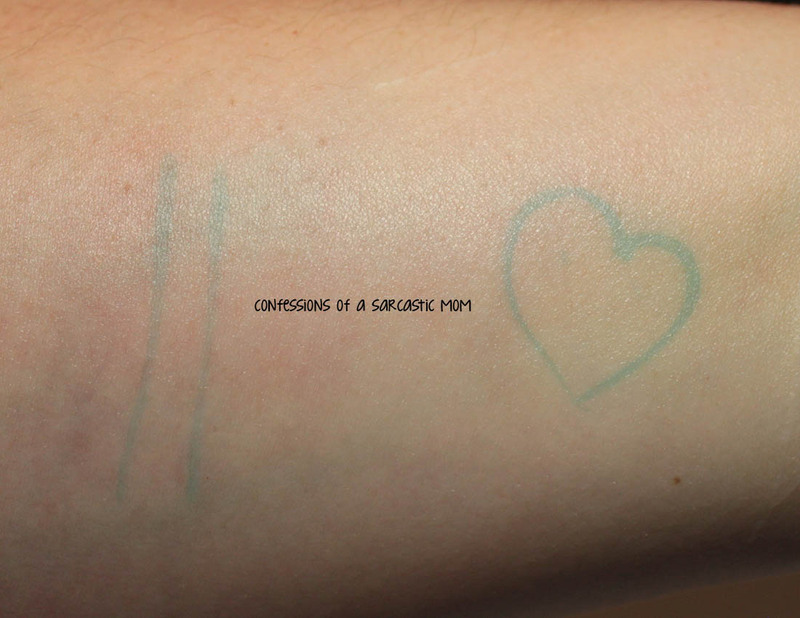 Right now, as I type this, it's 3 days later, and I've still got that blue heart and faint lines on my arm. So just be aware that the blues particularly are VERY lasting! These liners are $2.99, and for their richness, you can beat them! Just be prepared with the blues :) I am still practicing with liquid liners such as these. You can buy them wherever Jordana is sold or on their website.